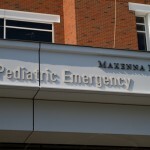 The Makenna Foundation supports Kentucky Children’s Hospital in several different ways. 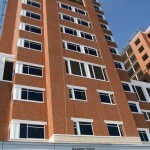 In addition to major purchases and expansion for the hospital, we provide simple people-to-people support too. Members of the Makenna Foundation board of directors and our Friends of the Foundation visit children at the Kentucky Children’s Hospital. We have facilitated Halloween parties and Christmas parties for the kids. From time to time we just stop in to say hello. Spending time and sharing smiles with these children and their families are as important as everything else we’ve done, in keeping with the Makenna Foundation’s mission to provide hope, joy and courage to the children and families who are served by the caring professionals of Kentucky Children’s Hospital. 2003: On August 1, Makenna’s Wall was unveiled at the children’s hospital at UK (renamed in 2005 to the Kentucky Children’s Hospital). This vibrant piece of artwork is a huge mural of cheerful tiles, painted by local schoolchildren. 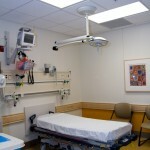 2003: The Makenna Foundation was able to donate a pediatric bronchoscope for the hospital. 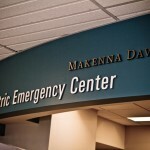 2004: Funds from the Makenna Foundation helped with renovations in the children’s sedation suite. 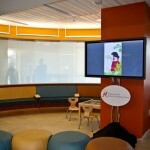 2006: The Junior League of Lexington renovated the toddler room, in honor of the Makenna Foundation. 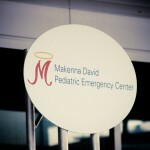 2010: On July 14 the Makenna David Pediatric Emergency Center opened. All photos courtesy of Amber Rickerson, Kentucky Studio.